Your membership supports our mission. 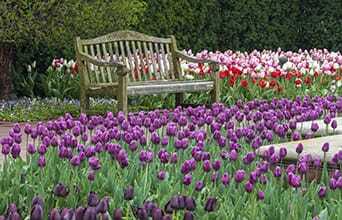 Take advantage of all that a Chicago Botanic Garden membership has to offer! Please allow 5 to 6 weeks for your membership materials to arrive in the mail. You may visit the membership desk for a temporary card(s) until your packet arrives. Your gift funds horticultural displays, the conservation of plants, ground-breaking scientific work, and education. As a member, you enjoy many members-only privileges, including free year-round parking. All benefits and discounts are for one adult. National membership requires that you live more than 75 miles away from the Garden. National members receive the same benefits at a discounted price. Your Annual Fund contribution is fully tax deductible. For more information, contact Member and Donor Services at (847) 835-8215 or membershipweb@chicagobotanic.org.